A review of Aegis Security Health Insurance Company leads to Aegis Security, an insurance company that sells homeowners insurance, rental insurance, motorcycle and surety insurance. Aegis partners with American Sentinel Insurance Company to sell health insurance policies to customers as well. To compare health insurance rates from several top companies, enter your zip code in the free quote box now! Aegis Security has been in existence since 1977 and is licensed to sell insurance in all 50 states. The company was founded on the idea of reliability. The founders felt that if they could establish an insurance company that customers could rely on for customer service, affordability, and quality products, the company would build itself. They were right. After 30 years, Aegis is now a leader for manufactured home insurance, motorcycle insurance, trailer insurance, and select dwellings insurance. Their partnership with American Sentinel adds health insurance to their list of products. In a recent third party survey of Aegis customers, customer service was one of the top three reasons customers stated that they stay with Aegis Security. The other two top reasons were price and variety. Customer service begins with agents, so Aegis chooses its agents very carefully. 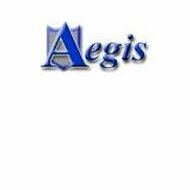 Instead of viewing agents as employees who work for the company, Aegis thinks of its agents as partners in the business. The better the business does, the more benefits and financial compensations agents will receive. If customers are happy with the agent that helps them find the right insurance for their needs and their family, they are more likely to stay with the company. Having agents as the first level of customer service has helped Aegis grow to where it is today. Personal relationships between agents and customers bring security. When looking for an insurance company, customers want a company that is financially stable. Customers want to know that when it is time to pay out a claim, the money will be there. This is especially true of customers who live in areas prone to natural disasters such as floods, hurricanes, and tornadoes. If located in a disaster prone area, an insurance company may receive several insurance claims at once, which can be very trying. If you choose an insurance company, like Aegis Security Health Insurance Company, that is financially secure, you can rest assured that your insurance claim will be paid no matter what the reason and no matter how many other claims are filed at the same time. AM Best is an independent rating company that rates insurance companies as to their financial stability. They assign companies a letter grade much like a report card grade. Aegis Security has consistently received an A rating from AM Best. An A rating means that a company has excellent financial stability and that they will be able to meet all their financial obligations. It means that the company’s assets are greater than the total sum of the policies currently held by the company. As previously stated, Aegis Security Health Insurance Company feels like their agents have to be the first line of customer service. To facilitate this, Aegis provides several training opportunities every year for its agents. Agents are trained in the latest insurance information, technology, and trends in the insurance industry. After tax laws, insurance laws are the type of laws that change the most. The training Aegis Security Health Insurance Company agents receive is specialized to the state that the agent works in. This is important because each state has different laws governing insurance. These laws determine types of coverage, coverage rates, and who can be covered. If an agent is not familiar with state specific laws, they may not be able to provide their customers with the right type of coverage. Aegis Security Health Insurance Company also gives customers the opportunity to present ideas to their agents regarding how the company could better meet the needs of its customers. These customer-based ideas are reviewed and taken into consideration when training opportunities present themselves. Agents are offered a wide variety of benefits including health insurance, dental insurance, 401K contributions, tuition reimbursement, paid vacation days, paid holidays, and mileage reimbursement. Scholarships for children of Aegis agents are also available at the college level. New benefits are frequently added as an employee retention incentive. Choosing a health insurance company is an important decision for any family. To compare health insurance rates to find a great deal, enter your zip code in the free quote box now!